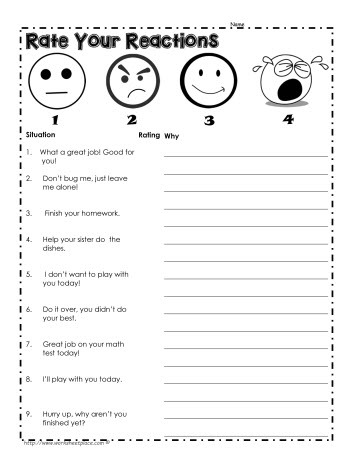 This social skill worksheets focus on reactions. All too often it is the reaction to a specific behavior that causes the bulk of inappropriate behaviors. Understanding the triggers help to teach about responding appropriately to the situation. These worksheets all help support behaving appropriately and doing the right thing. See also the behavior worksheets.